Courtesy of an ex-colleague and good friend currently working on the title; take a look at this stunning first glimpse video of TCTD2. As an aside, I’m no fan of the ‘bro-chatter’ which seems to be an industry standard currently, but wow does this look stunning. It’s rare to see such an in-depth and revealing Game Dev talk available for free online viewing less than a week after the actual event (GDC I’m looking at you, here…). Yet here we can watch Marcel Offermans from Studio 397 talk about many of the processes involved in the ongoing rFactor2 race simulator development. Of particular interest to Vyxl is their UI Design backstory, and the architecture overhaul needed mid-project. Additional to that Marcel explains many other facets of creating the title such as licensing and laser-scanning racetracks, tyre modelling and 3D model creation. Thanks to Luminis DevCon for sharing, and Marcel for the fascinating talk. Very informative article detailing some of the do’s and don’ts of form design – where forms can either offer low friction entry to your app, website, game or service; or stop your potential customer in their tracks. Great read! Just 3 days old, the stunning-looking Sea of Thieves by legendary UK developer Rare gets the full Polygon review. 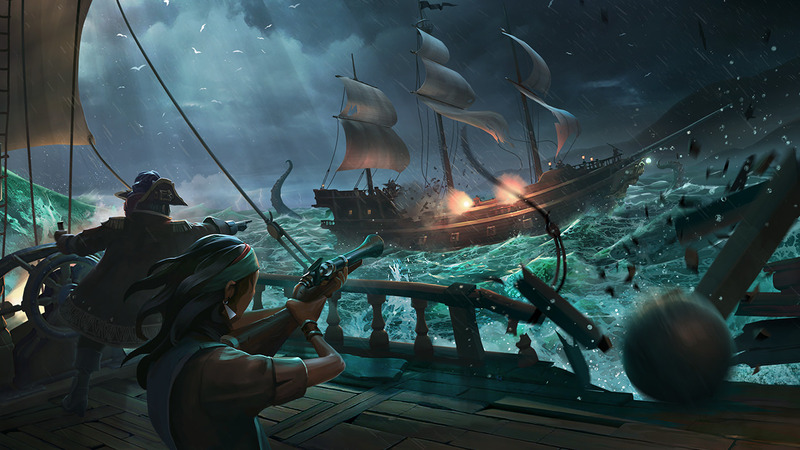 Offering a shared-world, co-op, cross-platform (Xbox One and Windows) experience, SoT certainly looks as good as it sounds. Take a read of Polygons’ review and check out their live-streamed 1.5 hour YouTube playthrough too! 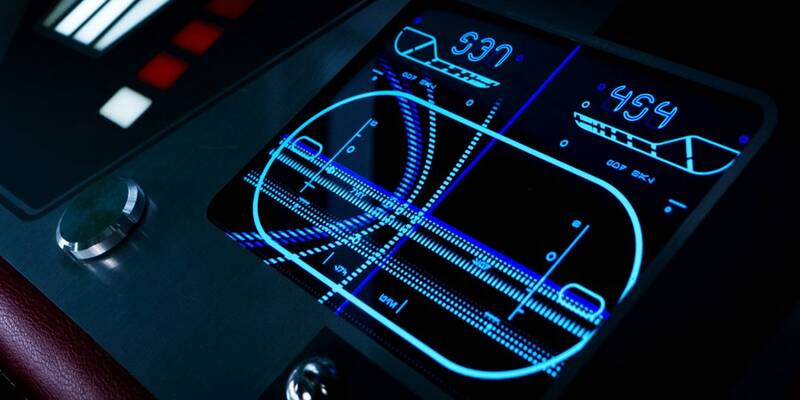 Designing the User Interfaces in The Last Jedi. Wired recently took a closer look at some of the spectacular UI design seen in The Last Jedi, which pay homage to Star Wars Art Director Harry Lange and IBM computer graphics pioneer John Whitney. Stunning work. Wired — Snoke Screens: Designing the User Interfaces in The Last Jedi. Fascinating —and painstakingly designed— microsite detailing 12 laws of UX, based on research by Pyschologists, Economists, UX experts and the laws of nature. Super-fun update to a fun US Pizza brand established in the late 50’s. What’s great with this is that the brand update has retained the charm of that era -particularly notable in the illustration examples as shown above, as well as some well-considered pruning: that of Caesar’s own chest hair. Read more about the rebrand over at Brand New.